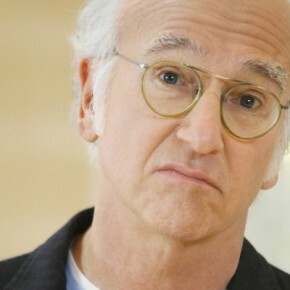 Are Jerry Seinfeld and Larry David Headed To Broadway? 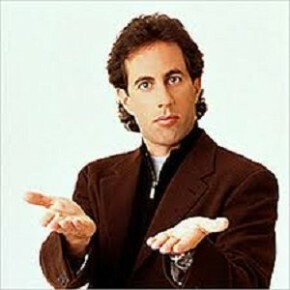 Jerry Seinfeld is no stranger to live performances (both on stage himself, and behind the scenes as director of Colin Quinn’s Long Story Short) but when he casually mentioned that he and Seinfeld co-creator Larry David were back together working on a then-mystery project, who would have guessed he was talking about the theater? Big? HUGE? GIGANTIC? Interested parties immediately began speculating – A new TV series? A Seinfeld reunion? Have he and David have been @Seinfeld2000 all along? Okay, so “I’ve written a play” doesn’t exactly sound like the sort of 50/50 Seinfeld-David partnership I was hoping for, but still – better than nothing. Besides, Jerry is one of the few comics out there who (I think) does just as well performing in large spaces as he does in small clubs (If you don’t believe me, listen to his genius I’m Telling You For The Last Time, which was recorded at the 1K+ seat Broadhurst Theater in NYC). Friedman goes on to claim that this mystery production seems like David’s #1 priority – more so than the new season of Curb he’s already writing (!!!) – but so far that’s all we know.